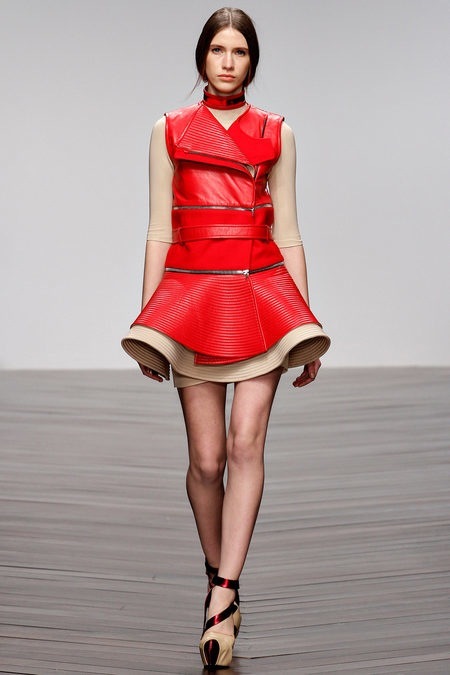 David Koma was inspired by the shape and groves of vinyl records. His Fall 2013 was modern, innovative and tailored. Koma is known for his ultra-body contouring silhouettes.